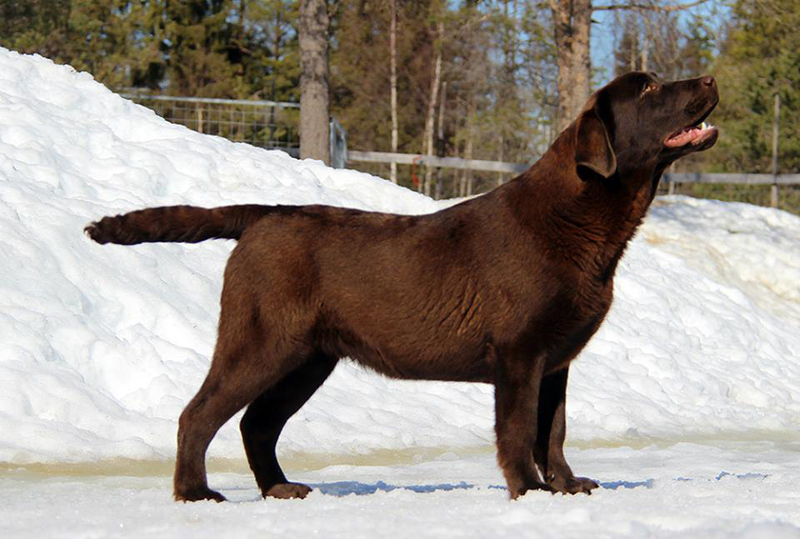 Santtu is a lovely chocolate male, 8 months in the picture. He has A/A hips, 0-0 elbows and clear eyes 18/9/2018 is PRA, EIC and HNPK "clear by parentage". He has been shown once with a class win from the Junior Class.